rtists play and experiment with algorithms and technology, working within limits but achieving effects greater than the sum of their codes or instructions. 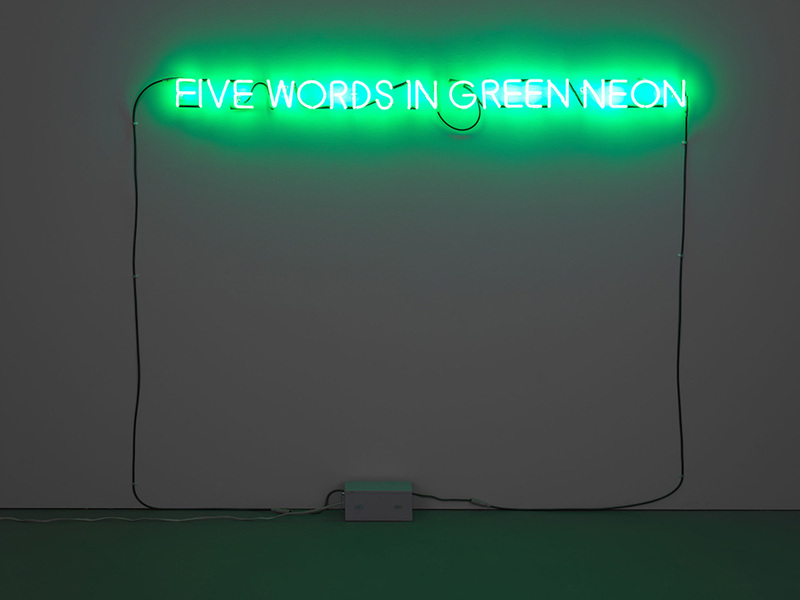 The duality at play in this exhibition is as separable as the wave and particle natures of light. 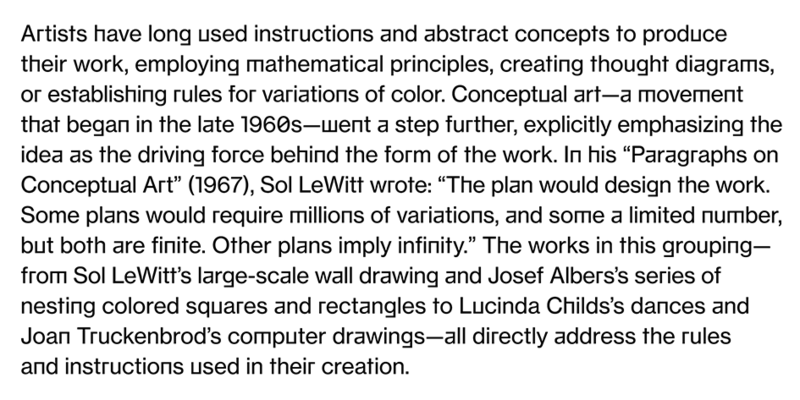 To recognize only one explanation would be reductive; to see both is beautiful” writes Scientific American of Whitney's Museum of American Art impressive exhibition which explores how code became eventually an artist's paintbrush. Featuring works drawn from Whitney’s collection, "Programmed" looks back at predecessors of computational art and shows how the ideas addressed in those earlier works have evolved in contemporary artistic practices. 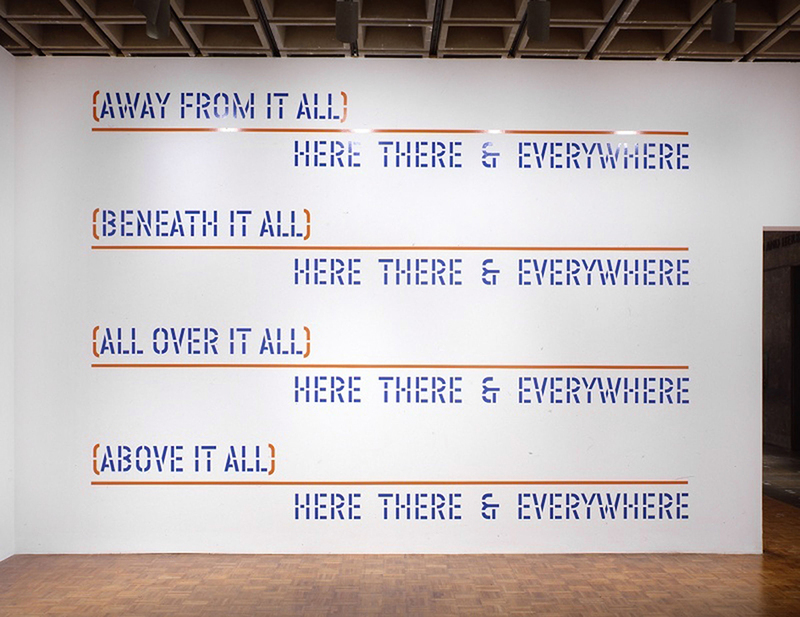 "At a time when our world is increasingly driven by automated systems, Programmed traces how rules and instructions in art have both responded to and been shaped by technologies, resulting in profound changes to our image culture," writes Whitney's press release. Graphic designer Joel Fear, one of the creatives in Whitney's in-house graphic design team, has more insights in this exclusive interview with Typeroom's Loukas Karnis. T: Please give us a small outline on the steps, the procedures you followed to come up with the exhibition's visual branding? T: Which are the similarities and the differences with Whitney's main branding? T: Humans and machines. Who is the "master" and who is the "slave? T: What the Museum's Design department is working on now? 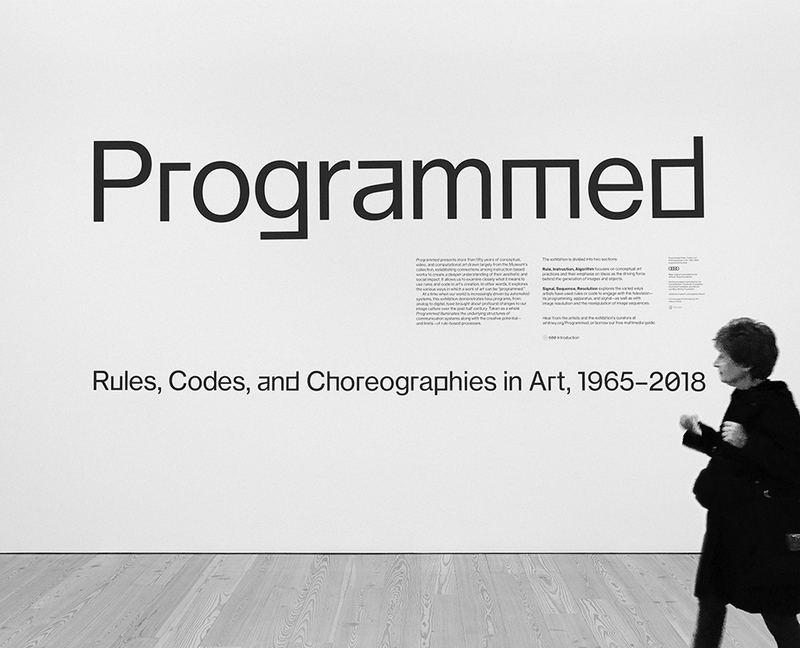 "Programmed: Rules, Codes, and Choreographies in Art, 1965–2018" establishes connections between works of art based on instructions, spanning over fifty years of conceptual, video, and computational art. The pieces in the exhibition are all “programmed” using instructions, sets of rules, and code, but they also address the use of programming in their creation. 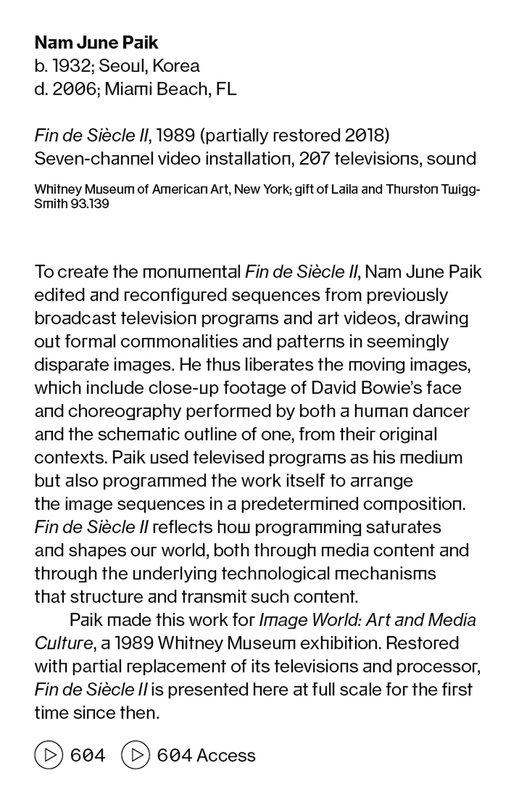 The exhibition links two strands of artistic exploration: the first examines the program as instructions, rules, and algorithms with a focus on conceptual art practices and their emphasis on ideas as the driving force behind the art; the second strand engages with the use of instructions and algorithms to manipulate the TV program, its apparatus, and signals or image sequences. On view through April 14th, "Programmed: Rules, Codes, and Choreographies in Art, 1965-2018" establishes connections between works of art based on instructions, spanning over fifty years of conceptual, video, and computational art.